The Vancouver Lawn Bowling Club was formed on November 26, 1912 in the office of Mr. Alexander Mesten of the Industrial Trust Company , 405 Dunsmuir Street, with a meeting of some 20 enthusiastic persons. 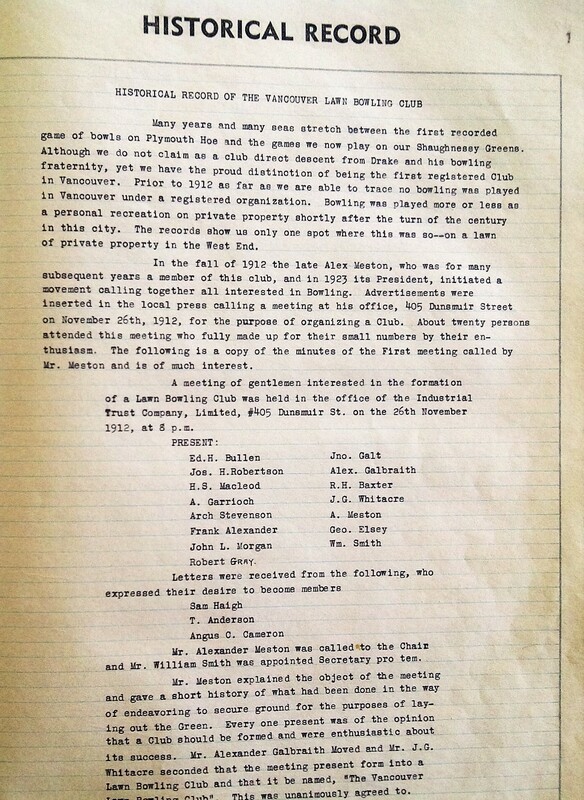 At a further meeting on December 9, 1912 the organization was unable to obtain sufficient members to purchase shares in the Vancouver Lawn Bowling Club, Limited at $50 per share. Only 32 persons out of the required 100 made an application for stock. The funds were to be used to buy property, construct the greens and the building and purchase equipment. 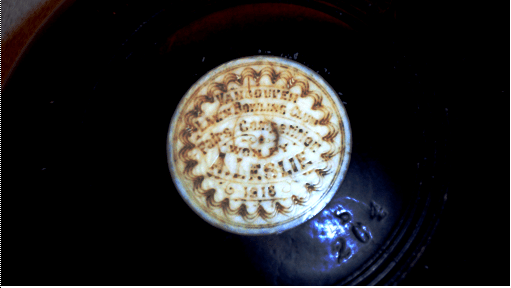 Still it was decided to register the Company with Mr. John G. Whitacre as President and Mr. W. Smith as Secretary. Nothing further was done until 1914 when games were held on Parks Board space at Brockton Point. The original Limited Company again tried to secure members through the purchase of shares at $50 per member but again had difficulty obtaining sufficient members so a new club was formed with fees of $3 per year. Mr. Whitacre served as President and Mr. W.W. Moore as Secretary. With increasing interest in lawn bowling in the city of Vancouver, the old Arnold Estate located at 25th and Granville was rented for $100 per year from the CPR in 1915. Play commenced on the tennis courts of the estate and CPR looked after the maintenance. This was the first bowling green in Vancouver. The season ended with approximately 100 members. 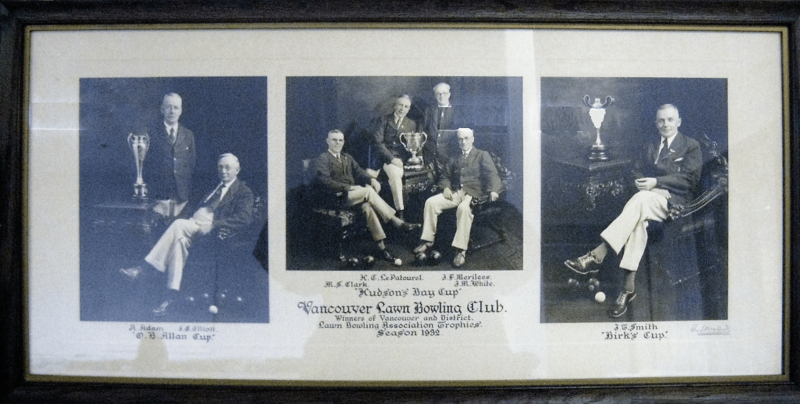 The increasing membership and differing opinions necessitated a split in the membership with the original 1912 Limited Company group moving to new quarters on the north east corner of 26th and Granville, retaining the name of the Vancouver Lawn Bowling Club. The players who remained called themselves the Terminal City Club. Both clubs flourished. The VLBC again needing more space leased property from the CPR at 26th and Selkirk and moved into the new facilities in the Fall of 1917. The green accommodated 8 rinks. 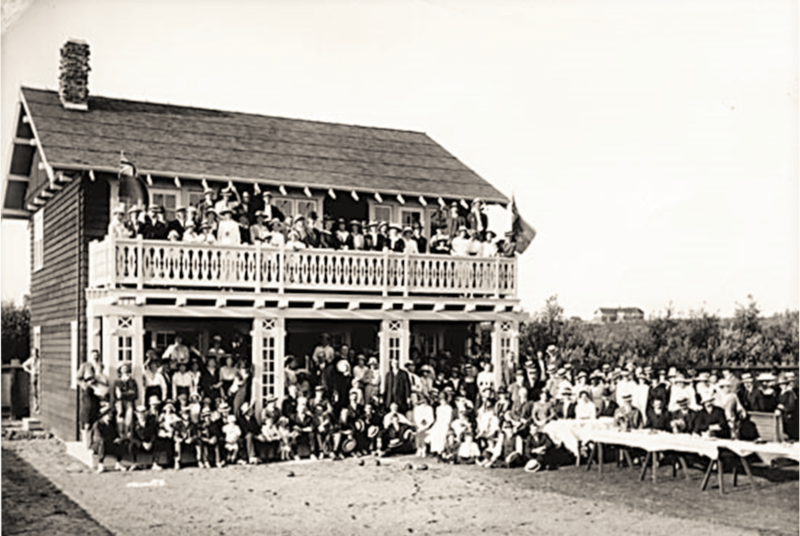 Funds were raised and a club house was built in the same year. Subsequently, the club purchased the property from CPR for $9,000. Our Glasgow & Ayrshire men’s fours tournament was initiated in 1924 and continues to this day drawing competing teams from many of the Vancouver and District Clubs. The tournament now played in July features a walk about the green led by a piper and toast to the Queen. But with shrinking membership due to the mortality of senior members and with sharp increases in property taxes, it was becoming difficult to meet the operating costs of the club. Discussions were held with the Parks Board as early as 1961 to locate a site for the club in a city park. The VLBC remained at this location until 1963 providing its members with years on fellowship and enjoyable bowling. While the search for a new site and the construction of the new greens were underway, VLBC members bowled for 3 years under our club name at the Terminal City Lawn Bowling Club. This resulted in an agreement with the Parks Board for a location in Queen Elizabeth Park adjacent to the pitch and putt golf course and the construction of a bowling green and a clubhouse. Provision was made for two additional greens to be built but that has not yet been realized. The Vancouver Lawn Bowling Club, Limited periodically issued shares to finance operations of the club; as well the shares were called in periodically. In late 1963, the property at 26th and Selkirk was sold and the bulk of the proceeds, some $25,000, was turned over to the city to be used towards the costs of the new facilities. All the shares were called in to facilitate the sale of the property which also needed legislative approval to return the lawn bowling green to a residential designation. Credit for this successful relocation goes to the then President Bryon Lund. While the facilities were being built members bowled at the Terminal City Lawn Bowling Club. The new green at Queen Elizabeth Park opened May 6, 1967 and the club had a membership of 120. The club subsequently added lighting in 1969 to extend evening play. The club has maintained cordial relations with the Parks Board and is grateful for their efforts in helping to maintain our facilities. Our Tournament of Roses women’s fours tournament was first played in 1974 and continues to be an extremely popular event. The available entry spaces are quickly filled up with teams from across the Lower Mainland. 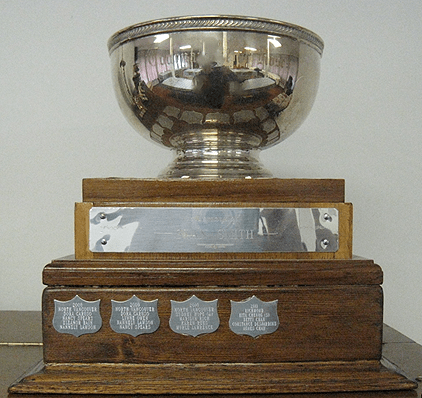 This tournament is played in June of each year. 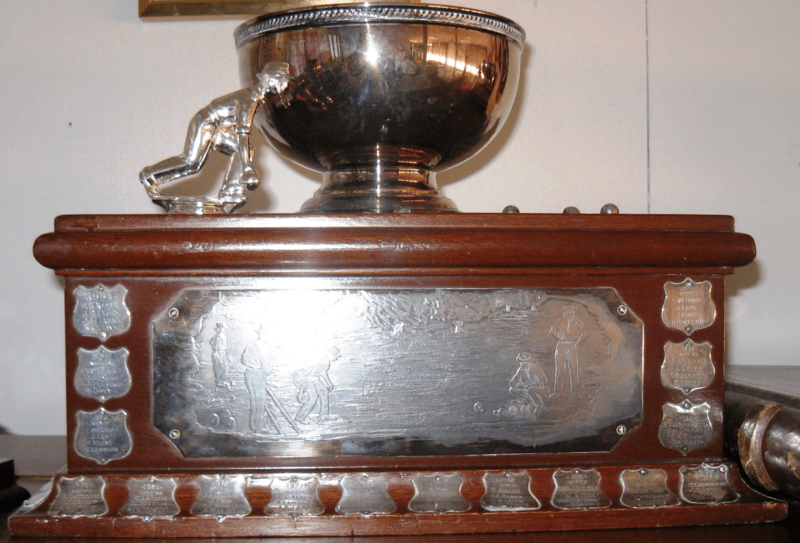 By 1978, the Men’s Section and the Ladies’ Section were amalgamated with one set of directors and executive for the Vancouver Lawn Bowling Club. The attached list of Presidents records 3 women who have served as President: Sadie Munro, Marie Davis and Jean Buck. The issues and challenges faced by the club in the past such as aging memberships and increasing costs are still with us. Previous members dealt with them in a number of ways and succeeded in getting us to our 100th year. It is worthwhile to mention some of their efforts such as rebates for new members, reduced fees for new members, sponsorship for tournaments, donations such as roses from the Parks Board, nominal charge for draws, posters at community centres, bus tours, etc. We continue to be in this location with a current membership of about 70. The Vancouver Lawn Bowling Club is known for its beautiful setting and for its friendly and helpful members and naturally for its lawn bowling skills.